I started my Craft room last year with the enthusiasm of a child playing with a new puppy. Sometimes no matter what our goal in life is God has another plan. In this case this plan would change my whole families life. We chose to help people we loved with overwhelming health trouble. The good news is they are safely in good place now and we are hoping for the best. Dancing In The Craft Room post was posted on May 1, 2014. I was so excited to know that I was going to develop my own space. This is a dramatic moment for me to read how long this has been on the back burner. Last year turned out to be a year of major road blocks. The one constant that kept me grounded in a life of consistent turmoil was making sure I blogged. Whether it was with two hours of sleep, countless hours in the hospital or nursing home, moving loved ones four times and selling a house in another state. I was blogging! Trying to accomplish my crafts, painting and DIY, blogging while not having an organized place has been challenging. I finally feel like I can get back to where I started in May. The choices we made were ones of pure love, that caused major chaos and exhaustion. Would I make the same choices over again? Absolutely, with more knowledge we might have been better prepared. Emergencies do not come with instructions. I can truly say we are doing our best. My friend Funky Junk Interiors has created a challenge #AHeapOfChange on her blog. I am making a declaration that I am back on the top of my heap, with a plan of whittling it down to a Happy Creative Space. Start out with a clean slate. 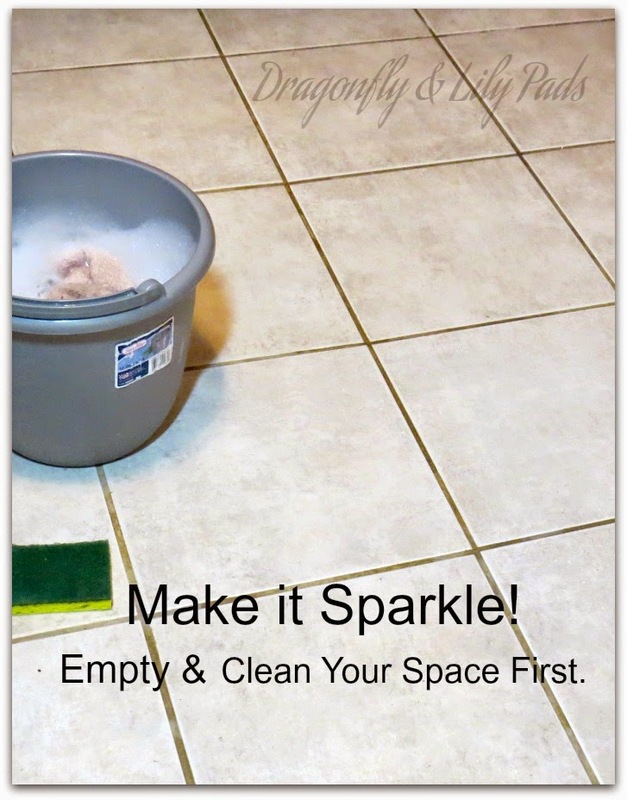 Empty the entire room, dust, vacuum and scrub. I already have my Spring cleaning done in this area. I just love the freshly clean smell. Ahhh! 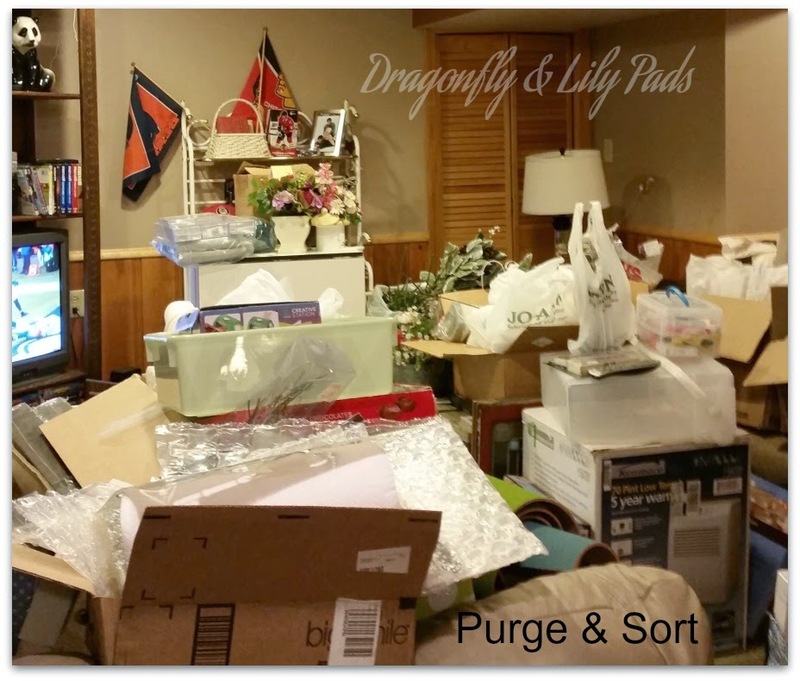 Next on the to do list is sorting and purging. I have my lovely family room filled with the materials of creativity magic. Yep, that is right! You could also call it the save, giveaway and trash pile. My storage containers consist of thrift, re-purpose, estate or garage sales and some newly purchased. On sale of course. 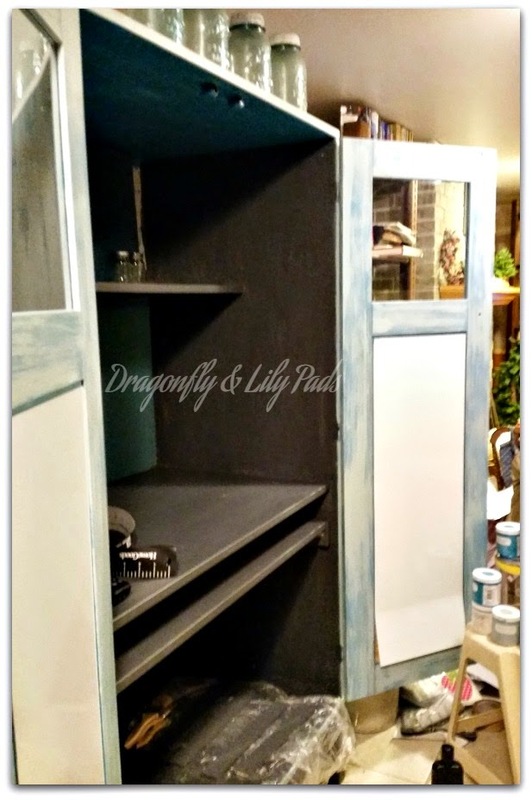 This +IKEA USA computer cabinet has been given a face lift with +DecoArt Painter Chalky Paint. I will be doing a tutorial on how DecoArt sponsored this project by providing the products. I bought these lamps at a couple of Thrift shops on one of my jaunts, along with costume jewelry to dress her up. This is her before picture just to give you a slight tease to come back for more next Thursday. I know you will want to see the reveals after seeing what my heap looked like at the beginning stages. #AHeapOfChange. This has all been included in the process of me finding Joy! In case you missed it click on the word to bring you to that post. When I am creating I feel like am dancing as light as air. Drifting through the process, sometimes with precision, and other times randomly changing the project as it appears to tell me the direction, I am going until it is complete. My plan is to make my heap of change into my dance floor to let my creative spirit dance, with the beauty that shines from within me waiting to burst out. If you would like to join Donna Williams from Funky Junk Interiors A Heap Of Change Challenge click on the link provided. I am excited at the promise of possibility from change so come back quick to see the process through to the end, or as I think of it as a new beginning. I am glad you chose the better part by helping friends, but I hope your "new" room comes together as your reward. Blogging can certainly be a therapy. I look forward to seeing the finished project. I thank you for taking the time to visit me today. Your kind words mean so much to me. All though I know in God's mind and mine I made the right choice. It sure is nice to know some one who understands. Love how that cupboard looks! Can't wait to hear how you did it. Life rarely does go as plan but it sounds like you truly were serving and helping others last year in ways that are so much more important than anything else. Life sure doesn't always go as planned, but we don't get to pick that part...we only get to pick how we react to it! And God will honor your faith and wise decisions! Can't wait to see! You made my heart light as I read your comment. It is scary to share what is going on my personal life. I am happy I did because I found the most caring supportive people. Thank you seems small. 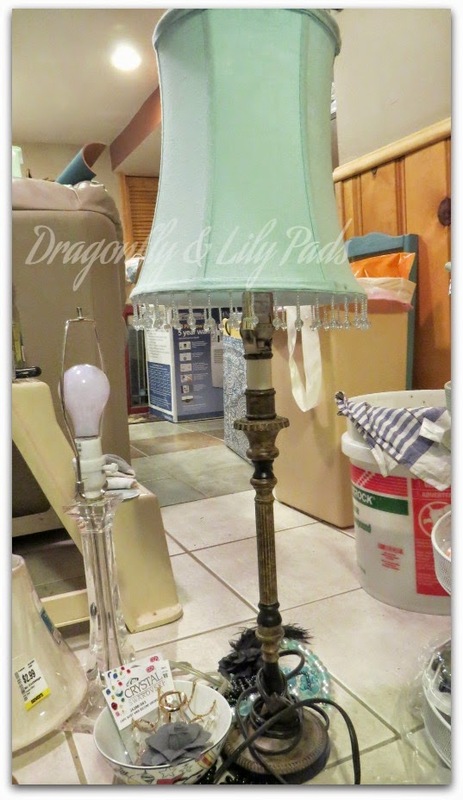 Love the lamps you picked up at a thrift store! Good luck with your room, sounds like great advice, to clear the room and start from scratch! It was nice of you to visit come back soon and see I have made more progress. I am glad you liked the lamps too. Thanks for your kind words.